“The Prudent Marketer,” Steve Mills is the founder of the LinkedIn Academy. He joins the show to discuss his “Marketing without Money Formula” and gives some tips for more effective location marketing. Mills believes in creating targeted, local content, so he shares some secrets to automating such services. Jason Hartman: It’s my pleasure to welcome our guest from the United Kingdom today, Steve Mills. He is the prudent marketer and founder of the LinkedIn Academy. And will talk to us about some tips and ways that we can use marketing with almost no money and also use LinkedIn very successfully. Steve welcome, how are you? Steve Mills: Welcome yeah, thank you. And it’s great to be here and I’m looking forward to the conversation today. Jason Hartman: Good, good. What is your marketing without money formula? Steve Mills: Well, I believe one of the things that coaches, consults and advisors need to really do is to be prudent with their marketing. Most businesses there’s a limited budget and there’s only so much time money and effort that businesses can spend. And my system that I’ve developed is all about being prudent. Making sure firstly, that you measure what’s working and what’s not. I’ve been involved in businesses now for over 20 years and most businesses don’t measure their marketing effectively. Sort of step two, is what I call the score board and that is basically looking and saying, how can you get more out of what you’re already doing? Step three is skill development, so all the additional strategies that you’re not necessarily using right now that you could. A lot of people tend to, for example, speakers out there might be focusing on one two or three different ways of generating income right now. And possibly neglecting other opportunities that may be available in the market. So I help people to do that. Then comes a real big one. And that is, how can you get more out of your current clients? And again, not one in out of a hundred businesses I really think fully harvest what I call the pot of gold that’s often sitting there within their current database. And then step five is all about maximization. How do you get more out of what you’re already doing? And six, my sixth step to the system is really about, I call it coaching for the future. And it’s really about trying to utilize some of the fantastic changes in market that are going on right now. The new technologies, new ideas, this ever changing world we live in is producing for the world of marketing. Jason Hartman: Yeah, fantastic. Well let’s drill down on some of these and talk about how we can use them specifically. For example, if one has a new kindle book they’ve published, they want to get more speaking gigs on the speaking circuit or more coaching clients, what are some of the things they can do very specifically to increase their exposure and results? Steve Mills: well, one of the areas I specialize in is, I think, one of the sort of really under used marketing resources. I almost guarantee that every listener that is on the interview today will be fully aware of. And that is the fantastic website that is LinkedIn. LinkedIn is an awesome website, and when I speak at conferences and events I get told, I say who’s on LinkedIn? How many people in the room on LinkedIn? And virtually everybody in the room puts their hand up. I then say, so who’s using it on a regular basis? They’re out there, every day, they’re on LinkedIn, they’re using the various strategies, and probably out of a hundred people, about ten people put their hand up. I then say okay, who’s actually winning business from LinkedIn? And the same ten people put their hand up. One of the problems I think with LinkedIn, is understanding the full range of different marketing opportunities that there are on there. Because it’s not complicated but it’s complex. There’s a lot of different things. In my workshops for example, I teach 44 different ways of winning business on LinkedIn. And I think most people tend to use two or three or four different opportunities. And for speakers, consultants, trainers, people like that, this is probably, arguably, the best form of marketing without money right now on the planet. Jason Hartman: Well what are some of the techniques that they can use specifically to make this platform come alive? It’s certainly known as the business social networking platform. Steve Mills: Yeah it is, yeah, it’s often called the business social media or the Facebook for business. I’ve heard it called many things. But it’s currently 238 million people connected worldwide and that is to me, one big networking event. And I suppose that there’s many things, but if I give you one of my favorites, which is something that most businesses don’t actually realize. And that is by posting some information out, through the home page, and then creating a link back to your website from that page, you can do two things: one, you can drive traffic to your website. Now I get over a thousand people from LinkedIn to my website every single month. And number two is, then once you’ve posted that link out, just underneath the link, there’s a little button called Share. If you click on that button and then tick the box that says Share to Groups, what this enables you to do is to share that post with your groups. The groups that you’re in. So let’s say for example, you put a link back to a book; you’ve just launched a new book, it’s on your website, you’ve got a nice page there, it’s all set up, people can buy online, all that sort of stuff. So you go onto LinkedIn, you post on your home page, and you send that out. Now if you’ve already linked LinkedIn to Twitter, that means you get a two for one anyway, so you post it out to LinkedIn and automatically goes out to Twitter. But then, if you click the Share link, and tick the box to Groups, and you upload all your groups, you can send a message out not only to your LinkedIn and Twitter connections, but to each and every member of your group. Now for me, I’m in 46 different groups and you’re allowed to join 50 of them. I’m in 46 and the total number of members that that means I’m able to send a marketing message out, is just over 1.5 million people. I can send a marketing message out to all those people for free in less than 10 minutes. I’m old enough to remember when I wanted to send a marketing message out just to a thousand people, that cost me a thousand stamps and a thousand envelopes, and an afternoon of work. And I can do it now on LinkedIn for nothing just inside probably less than ten minutes. So that would be for speakers out there an awesome opportunity to get your message out to a massive market of people for free. Jason Hartman: So why LinkedIn over say, Facebook or Twitter? Are you really a fan of LinkedIn? Is that your primary focus? Steve Mills: For me, yeah. I mean it just seemed natural. I mean, the world exploded in terms of everybody’s talking about social media, and how important it is. And it just seemed to me, that if you look at target market, who is your target market? Well for me, they’re business people. And on LinkedIn, I’m able to target pretty much most of the people, either business owners, senior management, those massive event organizer groups and things, it’s just more targeted. Whereas, Facebook and Twitter and everything, they’ve got almost the world on there these days. But it’s the targeting I think. That’s the thing that really appeals to me. Jason Hartman: Okay, good. Well, what else? Steve Mills: Well, I suppose one of the keys to LinkedIn would be the number of connections you’ve got. And I think this is a weakness that a lot of people have. They’re on LinkedIn, they’re connected to maybe a few hundred people, and they occasionally get asked to connect to other people but they don’t really know them, so they never quite know whether to accept or not. In my opinion, this is a great opportunity. Because there are two key drivers of sales here. One is the number of people. Going out there and finding your target market and connecting to them on LinkedIn, is just the easiest thing in the world to do. If I want to do business, let’s say for example I want to speak at the Vodafone Conference next year or any large corporate. How do you find the names of the people who are involved in that market? Are you going to phone Vodaphone up and ask them for who’s responsible for that and actually get the names of the people? We all know how tough it is to win business from corporates. And actually even to just get the names of the people I need to speak to can sometimes take months. And yet on LinkedIn, I can do that almost instantly. I can go onto LinkedIn, I can type in “Vodafone event organizers” or “conference organizers” or training department. Well that will just give me a list of everybody that falls under that particular section. I could do “Vodafone training managers”, and that will give me a list of everybody who works for Vodafone who’s a training manager. Maybe I don’t want to target a particular company, I want to select a particular industry. So I could do hotel industry training managers, because I provide training to the hotel industry. So I can find people and often through groups on LinkedIn as well. This is an important fact – once I’m a member of the same group as someone, that gives me access to all their information. So I can potentially find their mobile, their email, I can certainly send them an email through LinkedIn, because we’re in the same group. And again a lot of people don’t realize that. Now, just to clarify, I’m not in any way saying that Facebook isn’t fantastic as well, and so is Twitter, I really believe both of those websites and many, many more social media sites are great. But for me, certainly, LinkedIn is the one that works terrifically well. 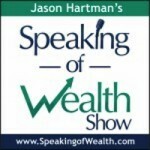 Jason Hartman: Well, outside of LinkedIn, do you want to drill down on any of the other tips? You mentioned six of them. Steve Mills: Yeah, I’d say, one of the skills that speakers, consultants, trainers, people on the line today need to think about is, I would submit that probably most of the people listening today win most, if not a significant amount of their business from referral. From personal recommendation, from past customers, people that they know, etcetera, etcetera. Now my question to everybody is if that is the case, then what is your referral marketing system or systems? In other words, how could you be more proactive than you are right now when in referral business? Because if this happens, if I go and do a talk somewhere, do a training, do some consulting work and as a result of that people may or may not recommend me. But what I believe is what we need to try to do is to be more proactive with it. I’ll give you an example. Let’s say I speak at a big conference and at the end of the conference, a couple of days later I call and I’m just calling to say thank you, I really enjoyed speaking. Glad I got so much nice feedback and I’m building a bit of rapport here. And then I say to the organizer, to be honest I earn most of my business from word of mouth, from personal recommendation. Tell me how long have you been in the conference organization booking speakers? Many, many years. Okay, so I was wondering whether you could possibly help me. Could you think of 2 or 3 people that I might be able to help in the same way that I have you? Would that be possible at all? Now okay, that might not be exactly the most fantastic script ever but the point being that I’m being proactive. I’m picking up the phone and I’m speaking to people. Speaking to customers, speaking to people that I know and so on in order to try and win more business. Now, some people have a little of a hard time with that. They say oh, it’s tough, I feel uncomfortable, I’m not really sure I could do it but my advice is just get over it, go and do it. Because it works fantastically well. I’d say out of ten calls I get probably five clients as a result of that. 50% conversion rate, that’s a 50% growth in the size of my business. Just look at it this way, people on the phone, you’ve got a hundred clients right now. And over the next year you call those hundred clients once and on average they give you one referral each. Now I appreciate some of them won’t give you any referrals, some of them might give you two or three or four, who knows. And because they’re referrals they tend to be good quality leads, and so you convert let’s say just 50% of those into new business. What have you just done? You’ve just grown your business by 50% without spending a penny or a cent, in Euro case, on marketing. You spent nothing on marketing whatsoever. And one final point on this, what’s the worst thing that could happen? You don’t win any business. And what’s the best thing that could happen? You grow, you double, you triple your business using one of the best marketing without money strategies on the planet today. And I’ve just illustrated one. You could offer a bonus an incentive. There are so many different ways you can win business from a referral and I think that’s a huge opportunity. Jason Hartman: Yeah, well it’s really amazing what we can do nowadays. The power we have to connect and I like to say that the cost of failure in businesses has gone down dramatically. You can do things and just be very prudent, don’t spend a lot of money, and you can experiment. You can afford to nowadays. Steve Mills: Yeah, so many things you can test very easily. A lot of people, just going back to LinkedIn for a moment, a lot of people are not aware of the pay per click advertising on LinkedIn that allows you to target specific people. So for example, you could set up a, if you were based out of New York, you could set up a paper click advertisement campaign in New York that is only seen by event organizers or training managers. And you can segment it to such a level that only they can see it. So if I wanted to target training managers in New York, of business is turning over let’s say at least 5 million dollars, then I can do that on LinkedIn and only that small little sector gets to see my advert. The other thing that LinkedIn is really good for is getting testimonials. There’s a system on there that enables you to get loads and loads of testimonials. I’ve got something like 80 or so testimonials on LinkedIn and the reason for that is I just ask people, would you recommend me? People come to my workshops and I always say I hope you enjoyed the workshop, if you did, would you recommend me? And they do most of the time, most of the people do. And yet most people when I speak to them, I say how many testimonials have you got on LinkedIn? Actually it’s called recommendations on LinkedIn, but it’s the same thing. They say well, I’ve not really got any at all Steve. Well that’s an opportunity again. And I’m all about trying to get businesses to just raise their game. How could you do better? Examining every single thing within your business under a microscope. You website, is that optimized as well as it could be? Your Facebook profile, does that look as good, what can you do to improve that? But that’s what business is all about I think. I come from a sports background and I used to play at an international level many, many years ago. And I think I’ve got a certain mindset as a result. But I always believe you’ve got to get more out of yourself and I think business owners have got to get more out of themselves and in particular in the marketing side. You’ve got to raise the game in your marketing to push it to new levels and develop new skills and learn some of the modern stuff that’s around like remarketing and the use of pay per click advertising now, it’s just an awesome opportunity and like most things it can be done well or it can be done badly. And pay per click is a great way of wasting a lot of money if it’s done badly. Jason Hartman: Yeah, absolutely. Well, before you go, give out your websites if you would. Then I’ve got a question for you about the LinkedIn Academy. Steve Mills: Yeah sure, I’ve got a couple of websites. You can join the LinkedIn Academy, which is www.TheLinkedInAcademy.com. You can join, sign up as a member. It’s free to join. And I give you updates, tips and information on how to use LinkedIn. Then my other website is www.ThePrudentMarketer.com and on there, there’s loads of information again, videos, there’s some great stuff. Again you can sign up to get the book that I wrote; it’s called The Ten Biggest Lead Generation Mistakes. It’s all free. There’s loads of free stuff on there. So go have a look at that. Jason Hartman: And on the LinkedIn Academy I assume there’s a more formal course or something right? That probably you charge for? Steve Mills: Yeah I do workshops, I do webinars, I do a sort of 8 week webinar. Sort of 40 minutes a week on how to use LinkedIn. I’ve got DVD programs that people can buy and seminars that I do. All that sort of stuff, yeah. Jason Hartman: Fantastic. Well good, well thank you so much for joining us today and are there any other resources that you want to mention to people before you go? Steve Mills: No, I think I’m pretty happy with that. If you’d like to join as a LinkedIn Academy member, that’d be great. Sign up for the book on the prudent marketing academy, and yeah, just if you like to do one of those two things, that would be brilliant. Jason Hartman: Fantastic. 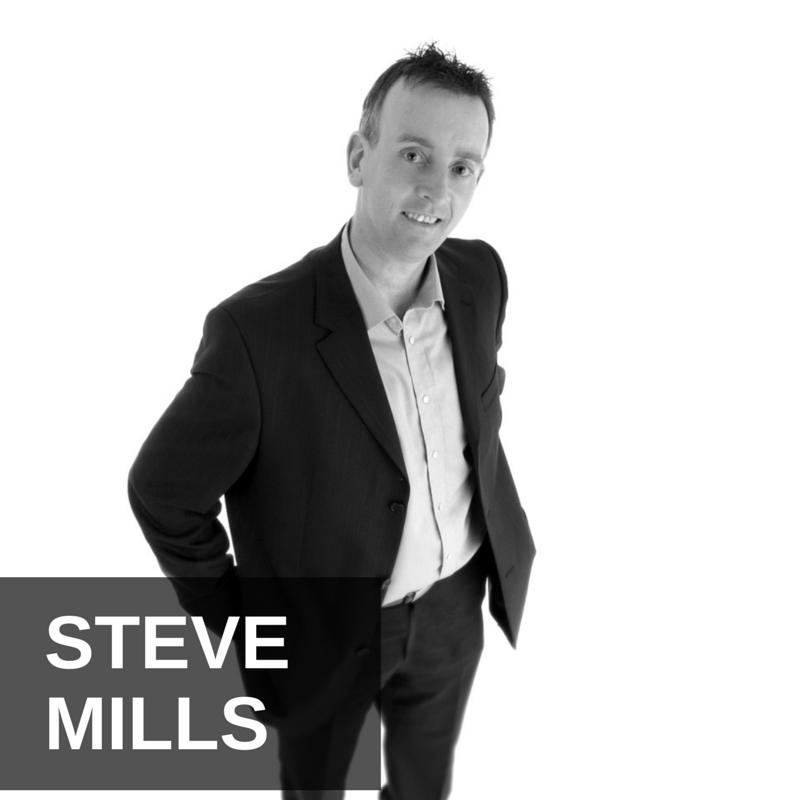 Well, Steve Mills thank you so much for joining us today. Steve Mills: my pleasure and thank you for your time. Narrator: Now you can get Jason’s creating wealth in today’s economy home study course. All the knowledge and education revealed in a 9 hour day of the creating wealth boot camp. Created in a home study course for you to dive into at your convenience. For more details, go to JasonHartman.com.